Do I really need a consultation? YES! 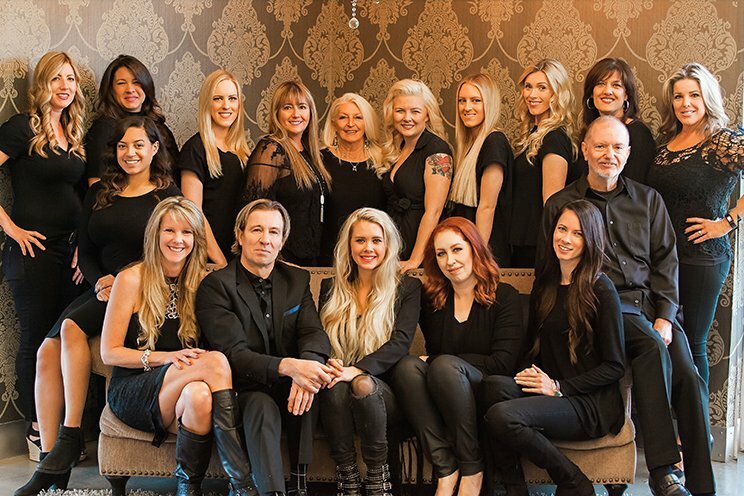 Your consultation is FREE and the most important step toward having gorgeous, long, shiny hair. During your consultation, we cover your objectives and show you the different techniques and products to determine which are the best fit for you. You will need to decide on the length and if you want to go mild or WILD. We can custom match the hair extensions to the color and texture of your hair, or you can choose from a wide array of exciting fun colors. Can I afford hair extensions? Of course you can! Depending on the type of hair used and production methods, there are several levels of quality, length and applications from which to choose. Pricing varies within each type and quality of hair extensions, so there are opportunities to fit pretty much whatever you want into your budget. Can I fit hair extensions into my crazy schedule? Of course you can! The consultation will take from 15-30 minutes and its FREE. On average, application of the hair extensions will take from two to four hours and includes your haircut. Absolutely! Your hair can be as short as three inches long and still qualify for gorgeous, long hair extensions. Our hair extensions are 100% human hair and originate from Asia, India, Russia and Italy. Click the following link to read more about the origins of hair extensions. No Way! No one will have a clue. Only your hair stylist knows. Regardless of the application method you choose, the extensions are placed one to two inches behind the hair line. Your friends, family and acquaintances will only be envious of your long, beautiful, thick, shiny hair. How do you match the extensions to my hair? We personally match your hair color to our wide variety of swatches to ensure a perfect match. Then we strategically place the custom hair extensions to your hair to match highlighted and low lighted areas. It’s that easy! No. After a few days you will forget that you are wearing the extensions. It is awesome! Will I be able to live a normal, active life with my new hair extensions? Absolutely! Nothing will change in your daily routine. You can perm, color, flat iron, and curl the same as if the extensions were growing out of your scalp. You could even swim or ski dive if so inclined! No problem! Since it is real hair it will react just as if you grew it yourself. You can do any treatment you want. Color, perm, straightened – what ever you desire. Can I still wear my hair up? Of course you can! The hair extensions are strategically placed under your natural part lines, so you can wear your hair in just about any style you desire. What if I just want to add volume? Many clients come in for just that reason, to have a full, thick head of hair. Hair extensions will fulfill your wish in just a few hours. There are no chemicals or glue used in the application process. The process of hair extension application that we use keeps your natural hair healthy and helps it to grow longer. This is assuming you follow our directions regarding care of your hair – without proper care, anything can damage your hair. Hair extensions work with any products that are good for human hair because they are 100% REAL hair. During your free hair extensions consultation we recommend the best products to use. Many of our stylists have worn hair extensions and have tested pretty much every product on the market today. We are highly knowledgeable on the products and care that work the best. The hair its self can last you years with proper care. At The Right Hair, we only use 100% cuticle hair, which allows you to re-use the hair. How fast your hair grows will determine the scheduling of your maintenance. Maintenance typically ranges from between six to sixteen weeks. 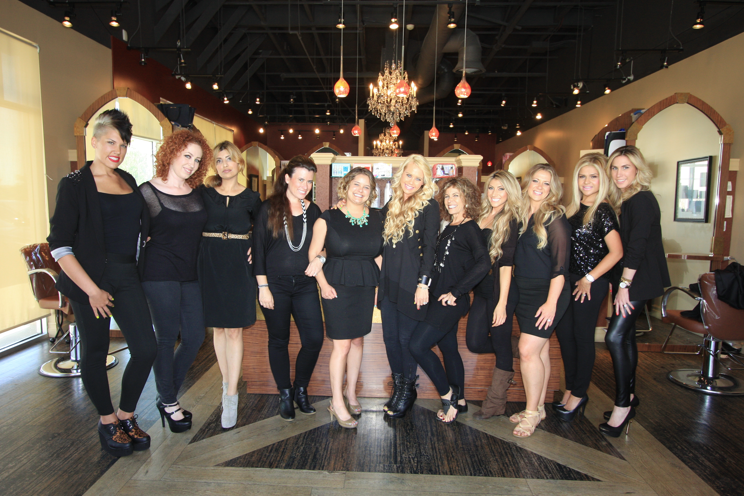 Hair extensions are so popular right now that our stylists’ schedules tend to fill up fast. So the sooner we set up your consultation the sooner we can get you in.